POTS (Postural Orthostatic Tachycardia Syndrome) is often called “the invisible disease”. This reference is no accident. POTS is dificult to detect and diagnose. 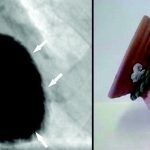 As a cardiologist with experience diagnosing and treating POTS Syndrome, I hope this article will remove the proverbial “invisible veil” by explaining signs and symptoms of POTS. These are the hallmark symptoms of Postural Orthostatic Tachycardia Syndrome. 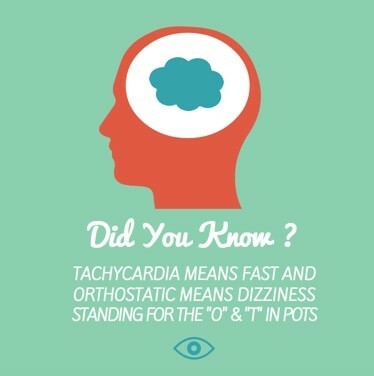 Orthostasis is basically a sensation of dizziness upon standing, and tachycardia is a fast heart rate. The definition often used for POTS is symptoms on standing, accompanied by an increase in heart rate of 30 beats per minute within 10 minutes of standing. Although there may be a sensation of fainting, most POTS patients don’t pass out. Usually on standing there is an immediate shift of about ½ a liter of blood from the upper body to the lower body. 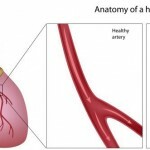 There is also shift of blood out of the blood vessels in to the surrounding tissues. The problem with this is that enough blood still needs to go back to the heart and the upper body to function normally. In a normal scenario, the body responds by tightening the blood vessels and returning more blood to the heart and a slight increase in heart rate. In POTS, this response is abnormal resulting in a pooling of blood in the lower body. The heart rate increases excessively to try and counteract this, but it’s often not enough and creates the orthostatic symptoms (fast heart rate), often the source of other symptoms of POTS Syndrome. 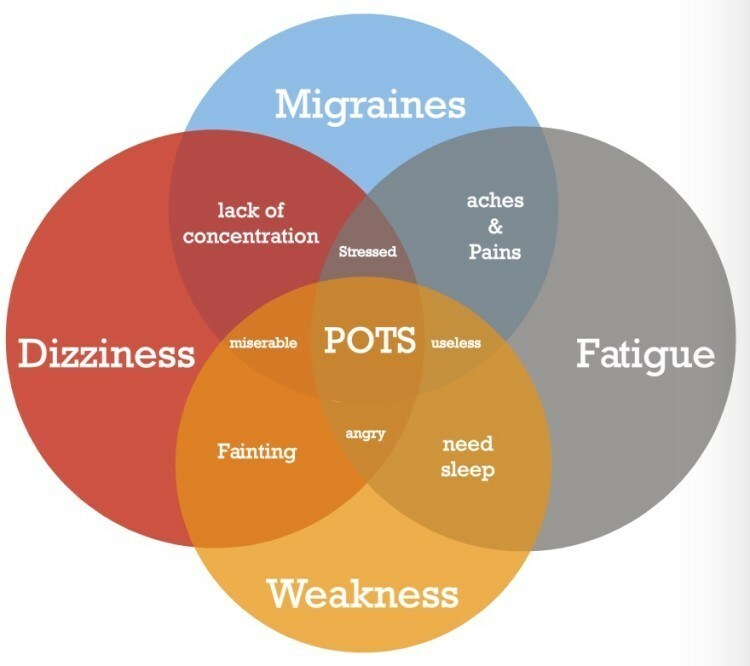 About two-thirds of POTS patients experience headaches as symptoms of POTS syndrome (Mack et al). Migraine headaches, the most intense kind, are common and bring with them additional symptoms such as nausea, a sense that the room is spinning, dizziness, and finding loud noises and bright light extremely bothersome. Coat hanger headaches, which primarily cause pain in the head and shoulders, are a highly common and troubling symptom among those diagnosed with POTS (Khurana et al). Coat hanger headaches are often worsened with standing or exercise and relieved by rest. In addition to the symptoms of dizziness and difficulty maintaining a standing position, many POTS symptoms experience gastrointestinal symptoms such as nausea and abdominal pain. In some patients, it has been found that treatment of the POTS, leads to improvement in the stomach symptoms (Sullivan et al). A lot of POTS symptoms are attributed to a dysfunctional nervous system that prevents blood return to the upper body when standing. It has also been shown that some of the gastrointestinal symptoms in patients with orthostatic intolerance can similarly be attributed to a dysfunctional nerve supply to the stomach (Seligman et al). Other reported complaints include bloating, constipation, and diarrhea. Chronic pain is defined as persistent pain, lasting more than 3-6 months, and may include symptoms such as the headaches and the gastrointestinal symptoms described above. Unfortunately and frustratingly, despite extensive evaluations, many chronic pain patients find no clear underlying cause. This makes it difficult to treat this symptoms. Like many other POTS syndrome symptoms, chronic pain may partly be explained by disruption of the nervous system, but is overall poorly understood (Eccleston et al). Heart related symptoms are fairly common amongst POTS patients. Palpitations are often reported and although these are typically relatively harmless often a monitor will be used to evaluate them better and to rule out easily treatable problems. 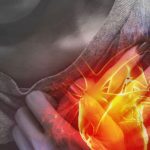 Chest pains are also commonly reported, although these are once again usually benign in nature. Shortness of breath and fatigue may also be reported, particularly on activity, however the pumping function of the heart is usually normal in POTS patients, although it has been reported that the heart is relatively small compared to healthy subjects. The majority of POTS patients are younger women. 80% of these report a worsening of their symptoms during the menstrual cycle. In addition there is a higher likelihood of gynecologic abnormalities such as ovarian cysts, dysfunctional bleeding and endometriosis (Peggs et al). Sleep disturbances have been well described in POTS syndrome. Symptoms include poor sleeping at night, waking up repeatedly at night, and sweating at night. POTS patients were found to have more sleep disturbances and higher levels (Bagai et al). A common POTS symptom is impairment of cognitive function. Cognitive function basically means intellectual processing. Amongst POTS syndrome patients this is often called ‘brain fog’. Almost all POTS patients experience some degree of brain fogging. Patients most commonly describe brain fog as as difficulty focusing, thinking, and communicating (Ross et al). About 50% of POTS patients have something called dependent acrocyanosis. This basically means dark red or bluish color to the legs typically on standing. The exact cause is not known. It’s usually painless and the legs continue to function as normal. Both increased and decreased sweating have been described in POTS patients. In the hyperadrenergic form of POTS there may be profuse sweating episodes. A research paper out of the Mayo Clinic in 2007 reported symptoms of 152 POTS patients that had been evaluated there (Thieben et al). Some of these are listed below, along with the percentages of patients that reported these symptoms. It must be remembered that this is only one study, although it does help our insight in to the symptoms associated with POTS. 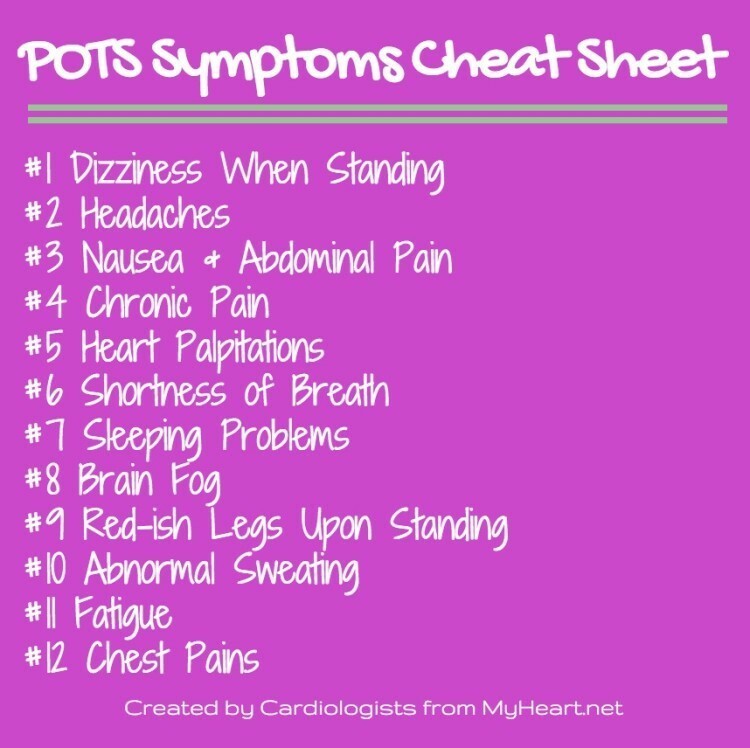 In addition to these symptoms, there is a large list of non-specific symptoms that have been reported by POTS patients. It is difficult to know whether these are related to the POTS syndrome or other problems that exist at the same time. Ongoing research will hopefully help us to better characterize POTS Syndrome and treat its symptoms. This is very interesting information! Here is why I feel that way. So my father in law recently had pneumonia and had a plural effusion as a result. He is a paraplegic who normally gets up at least 3 times a day with assistance from my mother in law. Now every time she try’s to get him up, he has SOB and passes out. The Drs never gave him a diagnosis or found out why this is happening. Now he refuses to get up out of bed and I am afraid of what will happen there. He has a long history but pacemaker, tube fed, has a stoma, are among some of it. I was wondering if this could be what is going on. I may mention this to my mother in law and see what his local provider says. Thanks for the info! I’ve given up on doctors, they are rather useless if a patient doesn’t have one of a handful of conditions they see regularly, they seem to not want to investigate and discover the issue. I’m in my 20’s, so you know I’ve had many frustrating experiences to be so cynical so early in life. The doctor might explain your father-in-law’s new ailments by saying that he is still weak from the pneumonia (which is possible, he was already a sickly man and he just needs more time to return to 100%) and that blood naturally pools where gravity takes it, that’s why many people, especially as they get older start to develop swelling in their feet if they stand for a prolonged time. Gravity has an effect on everybody’s blood but there are special smooth muscles that wrap around all the veins and arteries that regulates blood flow and pressure. Now, if a person is sitting/lying down, the heart rate slows and the body is able to send blood to the brain very easily with minimal effort, then someone comes along and yanks this person into the standing position. The problem is that the body gets surprised, it was relaxed one second then the next it suddenly has to work much harder, as a healthy child the body would be able to quickly correct the sudden change, in an old or sick person the body is tired/weak so it takes more time to fix the problem that the head is suddenly much father away from the feet. My first concern is if he is still exercising or has some kind of physical therapy while bedridden. Remember I said blood pools, if he doesn’t move he is at risk for blood clots which could travel to his heart or to his brain which can cause a heart attack or stroke. I can’t agree with you more…I think that there is an amalgamation of reasons why. I think that there is more information and tools out there; more than doctors can keep up with. Then when we get the blanket diagnosis from doctors, or when they generalize our symptoms with the masses, we are given a bandaid fix that may not be related to the illness at all. TIME, is something that they commonly rob us of, they try to squeeze in and speak to a patient on average about 5-10 minutes. How can you diagnose anything in that timeframe? I can’t shower and shave my legs in that amount of time, and they are going to diagnose a condition on that? AS A RESULT…patients are doing their own research at home. CORRECT, we are not classically trained physicians, but what are we left to do? I had one physician tell me that at 32 I was too young to have a vitamin D deficiency. I knew that it had to be that because I’d never had cavities until after my son and somehow I started having 7 of them every 6 months. I broke my ribs, doing what I have no idea. Interesting, I went to another doctor and demanded to be tested and was at the high end of summer; I had a value of 12 ng/mL, in which the Vitamin D Council suggests the optimal is (OH) D 40-80 ng/mL and laboratories are 30-75 ng/mL. I ran my own DNA and showed that I am VDR taq +/- and VDR bsm +/- along with another couple of heterozygous and homozygous mutations that affect how D is processed. Essentially, my D was so low for so long that it did more damage, it triggered autoimmune diseases that have made my life miserable. The new doctor told me to go get 20 min of sunlight per day, but sunlight does nothing for me and my family members that are also affected. So again, they could be doing so much more with DNA, but they were never trained in understanding it so they often dismiss looking at the root causes of illnesses. And yes, just because you have DNA mutations, it doesn’t mean that you have the disease or are experiencing issues. So, with all of this new information at our fingers, it has almost become our responsibility to biologically figuring things out because we are shelling out way too much and receiving too little in return from the medical field. What we need to see in the future is using genetic testing to formulate custom vitamins, foods and treatment plans. This would revolutionize the body. I am finally getting answers to my questions as to why I have been misdiagnosed for the past 30+yrs. I have had invasive back surgery., Exploratory tests,bone infusion,severe pain, swelling, migraines,loss of teeth,numbness & unable to sit,stand,walk. I have had many more unbearable times that began @21yrs.,old. Fast heart rate,low BP, dizziness, unable to sleep, hospitalized only to be more or less disquisted with prognosis!. Thank God I seen a program on TLC 5/14/18 of which expl. a small amount of POTS SYNDROME!. I Have lost my family’s love, my marriage,job & Quality of my life. No one knows how I suffer, I sit in tears & Pray every day, I will be unable to support myself very soon, but everyone thinks your suffering is in my Head!! I have seen so many Specialist s, to no avail. Thanks for anyone who may understand what I go through every day. I appreciate A Medical Provider that would advise, & explain how I could get help. God Bless Cynthia Cooke Stanek. Cynthia, do you know the title of the show you saw on TLC recently? I’m not sure if anyone ever replied to you, but if you think you have pots syndrome you would need to have a tilt table table test done to confirm a diagnosis. My neurologist ordered a ARS test for me as well as a full lab work up including hormonal testing. I had my testing done at the Mayo Clinic in Arizona. I’m so sorry that you’ve had to go through all of that and suffer for so long. I too have lived a torturous life losing everyone I love due to being misdiagnosed for the last 17 years and I just got re-diagnosed 2 weeks ago with POTS. It makes so much sense and I have every single symptom, even the rare ones. My cardiologist did a tilt table test to find out if I had it. He tested my blood pressure and heart rate while lying down and when I stood up straight my heart rate rose significantly and my blood pressure dropped. There are medications you can go one but none are specifically for POTS, so it can be risky if you are like me and get every side affect there is. Salt, salt and more salt. I take salt tablets and drink water with electrolytes, staying hydrated is key! Eating foods with less histamines in them helps, I take Claritin daily now. Wearing compression garmets helps especially wearing them high up around your waste. There are a lot of other things you can do to help with symptoms, keep googling POTS and reading all you can. Its not a rare illness but its not common either so research as much as you can and start with life style changes. Its hard, trust me I know, but at least its a start. My significant other has these symptoms, I cry for him, for us, doctors we have been to, unfortunately not many, have dismissed his complaints, the last doctor, that he was tricked into going by his sister 🙁 (actually told him that the finger stick test for blood sugar was highly inaccurate, two days before he was shaking and seriously foggy, called 911, and emt checked his sugar, not even a glance by this doctor 2 days later, ) and he was sent to a -psych ward for 11 days…. I don’t know where you live, but, Vanderbilt Hospital, in Nashville, Tennessee has a specialist in the study of POTS. Look up treating the vagus nerve. There’s a clinic in Arkansas that treats the root cause of POTs and they stimulate the vagus nerve. I really appreciate your thoughts. Your too progressive for the Medical Community though. They are not interested in curing people. Joy, your comment was so well said. I’ve been searching for answers to my health issues for about 18 yrs now. I’ve been bedridden for a large portion of this time. I started searching for answers in my early 20s, I turn 40 next month. I think what’s made my situation so confusing is, I think I have some overlapping in diseases. For the majority of my experiences there is very little effort put into Drs from different fields communicating to one another or collaborating together for a more holistic picture. Yes there are a few places like Mayo that claim to do this. My experience with the mayo in AZ was a joke. At the time my mother complained about it to them, so now they refuse to see me at the main site. Hmmm. I’ve often thought, when I’m better I want to be some kind of patient advocate. Find a way to help patients communicate to Drs. Or maybe even ways to train patients to do better so their own research. I don’t know. It’s just so hard for people that are genuinely sick getting tossed here & there with very little to show for it. Like you said, it’s too expensive in many ways for what many of us get in return. Find a Functional Medicine Doctor. They dig much deeper into your symptoms; agressive blood work; diet; etc. My 20 year old daughter was just diagnosed with POTS after seeing 14 providers over 6 months. So frustrating. It is frustrating… It took me 2 years and $10,000 (with insurance) to get diagnosed with POTS. What kind of doctor do you go to for POTS. 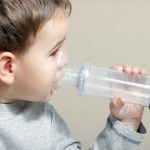 Does anyone have suggestions on treatment for nausea and diarrhea related to POTS? I have occasional flair ups of terrible nausea/dizziness and diarrhea but can’t seem to pin point the cause. I have a prescription for Zofran/Ondansetron. It is the smallest pill (way smaller than a tic tac) and dissolves. Super helpful when you’re nauseous. It is a lifesaver. Home remedies like peppermint and ginger help. I drink tea with one of those as the main ingredient. Aloe Vera juice is also a great home remedy. They have it at Walgreens and online (Herbal Life). I used it when I was pregnant and it was great. If it helps, these are recommendations from a nursing student and someone that has pots. Hi! We are new to this, but a remedy we have used for ages is applesauce for diarrhea. I love that there is a place I can go to see what works for people. Wishing you all the best! Depending of the cause of your POTS, you may want to try going dairy free and gluten free for 3 months. My POTS was caused by my autoimmune disorders. I had severe nausea and heartburn like feeling in my stomach and I could not even eat a grape amongst other symptoms. I started getting treated for POTS last September. I have seen a big difference in the way my stomach feels. I have slowly reintroduced gluten and dairy foods back in and have been stable. Have you also experienced sharp pains in your heart? I have very severe migraines. I currently take a daily preventive that helps. I also have chest pains. I see the cardiologist monthly and sadly he says this is normal. Please see a cardiologist that specialist in POTS. My daughter was missed diagnosed for 24 years until she did the research and its conclusive that she does not have anxiety and is in treatment. I am going to tell you that not until you find a cardiologist that specializes in POTs than you will be dismissed!! Please don’t give up!! What preventative med do you take for migraines. My daughter has yet to find one to help her. We are currently so IV normal saline ever few days and she gets some relief. What was the treatment its ruining my life im bedbound and never go out im 30yrs old. Sweating is the worst im soaked in my head looks like i just showed. It is awful im soaked my hair always wet as soon as i stand or clean my house any activity or simply standing im soaked. Is there treatment that has helped this? I also have the awful sweating. I get so hot and sweat pours off my head if I do anything. It’s awful. The doctors and myself have not found anything that helps. I developed POTS and MCAS after years of fighting Lyme. I eat a vegan diet , so no dairy and no grains through meat as well as a gluten free diet for a long while. I find when I’m really struggling, a pinch of pink Himalayan salt on my tongue allowed to dissolve helps and I take quercetin every morning. I notice when I skip the quercetin. I also walk everyday and notice if I skip the walk. I think it is rebuilding my heart. After too many years of passing out walking up the steps or jumping out of bed, I feel hope. I was strict and kept a journal of every activity and food for nearly a year as well as a scale of how I was feeling and symptoms. I was able to create a list of main triggers. It was amazing really – I can tell you excess citrus and I have to urinate with extreme urgency. Corn meant immediate full body swelling. etc…. it seemed each one could be traced to its own reaction. For me – grains – especially corn was an issue and corn is in everything so it seemed like all food but it was the corn. I also have terrible chemical sensitivity – the worst being dryer sheets! Keeping the log was exhaustive work, but it was the key to me turning my life around after not finding the help I needed in the medical community. I wish everyone struggling the best! And hopefully sharing this will help you find the path that works for you. I’m taking 52000 mg of D a week.one dose once a week.did they do a igg test when you broke your ribs? That’s how my nitemares started broken ribs with no idea how it happened.seems like I had MGUS for a long time un diagnosed. .I have the dizzy spells for a long time,I call them white outs.my calcium goes very low too.but when they found the fractures with no causes they had suspicion.and admitted me .my kidneys were shutting down .but after iv they returned to normal the next day.so after 2 days of tests and a bone marrow biopsie they found the myeloma and more stress fractures..so maybe have them check your special protien just to be safe also.had you had your thyroid pannel done also,many food related issues and aches and pain can come from that.they need a full pannel to get a actual result.along with the MGUS I had a thyroid un diagnosed .the food issues stopped after the thyroid is stable. Gluten and lactose intolerance are often linked to PoTS it may be worth you googling low Fodmap diet. What kind of doctor can diagnose this? PCP or specialist? My daughter has exhibited almost all of these symptoms for years and we’ve been to so many doctors. One even told me that it’s all in her head. Who do I see to get her tested and what kind of testing should I expect? Please help. My friend was diagnosed by a neurologist, but I would think a cardiologist would also have to be involved. I was diagnosed by a neurologist. First one sent me to a different one that had the Tilt Table for testing. So far, I have not seen a cardiologist but it has only been about a month since I was diagnosed. JESS are you weak when u have you “spells”? To diagnose Pots Syndrome a Cardiologist can perform a Tilt Test. Only certain hospitals have access to a Tilt Table. My cardiologist referred me to an electro-physiologist who ordered a tilt table test to confirm the POTS diagnosis. I also have SVT but I don’t know if they generally go together or not. I pray your daughter will get an accurate diagnosis and treatment plan. My daughter was diagnosed by a cardiologist after she had a table tilt test. But pcp can order the table tilt test. My daughter was diagnosed by her primary care physician. She didn’t even use the tilt table, just had my daughter sit/stand laydown/stand and measured heart rate and blood pressure. It helped that my daughter’s school nurse had been checking/logging her heart rate and bp every time she didn’t feel well at school. 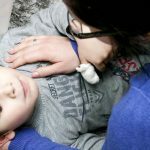 My son was diagnosed by a cardiologist. I know too well how you feel. I spent years and tons of money on every specialist for my daughter without results or answers. Our God send was an adolescent medicine specialist. She nailed it on our first visit. I will tell you that the ‘recommendation’ is salt and a lot of water. Common sense dictates that if you drink that much water, you flush out other essential minerals and vitamins, and salt upsets an already upset stomach. We have found that the Electro mix by Emerg n C (available on line at Walmart – best price, free shipping- in a green box) gives her the electrolytes and the minerals she’s losing. Most electrolytes have a lot of sugar or worse, artificial sweeteners. And considering how much she has to drink, NO WAY. We have also found the ‘fizzy sticks’ drink mix from Arbonne give her more energy, again without the sugar / artificial sweetener. And it has things like green tea, blend of vitamin b’s, chromium, sodium, and potassium (salt) all plant derived. these two things are essential for her. she can not get through the day without both. What were your daughters symptoms? My 14 year old son has been experiencing intermittent intense nausea for 7 weeks. He is being treated for a bacterial infection and also has PANS. Our doc believes the PANS is causing the anxiety and the nausea. I’m very curious about POTS as he has prior Lyme exposure. Where is your adolescent doc located? What tests did he do to confirm diagnosis? Other than the electrolyte and mineral replacement are you doing anything else for treatment? Sorry for all the questIons. Hope you can help! She really needs to make sure she is taking a multivitamin that is methylated . Plexus has a good one called X-factor. It helps you absorb vitamins and has helped me out a lot. I also like the Mega-X as it helps with my heart. One that specializes in P OTS cardiologist is the best please don’t give up I’ve been taking my daughter to doctors since 13 and for the first time we found some hope in us and treatment. It took no less than three minutes To come to the conclusion and she seeking medical help. Go to a doctor that specializes in POTS. It’s the only way you will get diagnosed correctly. I was diagnosed by my OBGYN after she monitored my heart with a holter monitor for 24 hours. also along with my long list of other symptoms that are spot on to these listed (abnormal menstraul cycle, bloating, fainting, dizziness, nausea, palpitations, tremors, anxious and agitated, foggy headed and lack of concentration ). We have been to neuro, rheumatology, oral maxo facial specialists and endocrinology. None of them tested or diagnosed my daughter for at year. I finally took her to children’s heart institute and within 3 hours she was diagnosed with ehlers Danlos syndrome and POTS. Definately find a cardiologist that specializes in POTS diagnoses. So what did they recommend ? As I have both. My 16 year old son has PRECORDIAL Syndrome. Any suggestions about what causes this & how to treat it? Who can diganose this? My daughter has all the symptons described an only ten.She had been to cardio an wore heart monitor an to nuero with no answers. 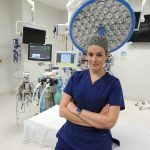 Electrophysiologist, cardiologist or Neurologist. Your primary care doctor can do a “poor man’s tilt table test.” My primary care doctor caught it for me. They check your heart rate and blood pressure lying down, sitting and standing. Only go to a doctor that specializes in POTS for this disease. I am 62 years old and have passed out since I was 9. I went to different doctors and they ran all kinds of test. Never could diagnose. It took my 40 plus years to be diagnosed. My cardiologist suggested the table tilt test and I finally got a diagnoses. Some doctors have never even heard of the table tilt test. I am in my 70’s and have been coping with Pot’s disease for many years. My biggest problem amongst many is I can not sleep. Does anyone have a name of a product that they may be using that works for them. I have tried sleeping pills and if lucky I sleep 3 hours and then I am wide awake the rest of the night. Have also been using a relation pill as well, but does not help. If anyone has any advice, I would surely appreciate hearing from you. Hi Andrea , I use Essential oils for sleep and they help me. I use lavender and serenity gel caps and oil. Serenity is a DōTERRA product but I would suggest to try using oils if sleeping stuff doesn’t help you. I also lay awake most of the night without them. Sometimes also with them but they do help. Try tart organic cherry juice. Not black cherry juice. Helps me and I take it 45 minutes before bed. Hi, I am 65 and have the sleep disorder connected with Fibromyalgia and EDS. I have EDS Classic form. Taking the usual cocktail of Melatonin, Valerian Root, OTC Sleep aid and other supplements helps. But, the best thing of all is 5 or more minutes a day of low impact aerobic on my NUstep or deep water running for an hour or so. I actually do aerobics up to 45min a day but, it took a long time to work up to that level. I also sometimes use deep breathing exercises to relax and fall asleep but mostly my sleep disorder cause frequent arousals. Hope you get some help soon! Quite a few of the signs and symptoms of POTS also overlap with Primary Hyperparathyroidism. My 16 year olddaughter was recently diagnosed and put on Toprol beta blocker. It was increased from 12.5 to 25 mg. The first night she had chest tightness and trouble breathing, it aggravated her asthma. Now she stopped and headaches are back up to a 10 on pain scale. Would salt tablets be helpful? Not for shortness of breath. This is common with many Pots patients. I am also asthmatic and beta blockers and asthma don’t mix well. You may want to speak with her doctor. I am currently on a calcium channel blocker. I loved my beta blocker, but I couldn’t breathe. My daughter is on Midodrine for POTS. It’s been a miracle! I don’t know how it mixes with asthma though. I have asthma.. Midodrine seems to help and I haven’t noticed it playing with my asthma since I started taking it. I have pots and eds also gastroparesis.. My 13 yr old daughter was dxed with eds mcas and autonomic dysfunction.. 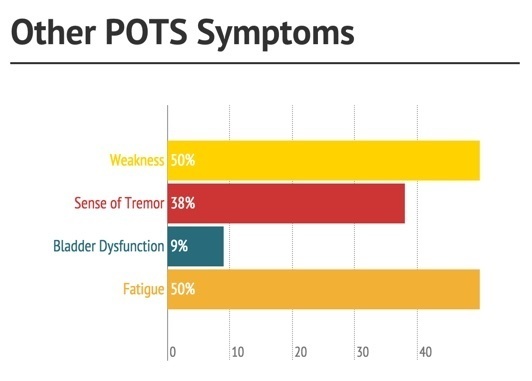 Symptoms of pots but so far Drs haven’t been able to catch it on holter yet. Sounds like mast cell activation syndrome..
I’ve had the same symptoms as your girlfriend as well as gastroparesis, a GI disorder, severe fatigue, fainting, and severe trembling following fainting episodes. I have a cardiologist and neurologist. I take Metoprolol which stablizes my heart rate and Zoloft which has mostly eliminated fainting episodes. I use Zofran for nausea and Librax that relaxes the stomach muscles, both are only taken as needed. I’m 90% better with medication though I can have an infrequent episode, but they are few and far between. Usually after an episode I have anxiety for a couple of days fearing another episode, and I take Xanax when I need anxiety relief. I was also struggling to function during the day, but now I’m able to function normally and even enjoy moderate exercise. I also practice deep breathing and mindfulness techniques to reduce anxiety and it improves my general well-being. Your girlfriend will improve with the right treatment. Did you know that your did you know fact is wrong? Has anyone ever pass out while sitting down? I was driving the other day and started feeling dizzy and lightheaded and like I do Everytime I passing. I actually have this problem. I have narcolepsy so, at first, the Dr.’s thought it was that. When I asked them if narcolepsy is situational and lasts for 30+ minutes, they all agreed that the lengthy, situational episodes are not narcolepsy, but no one can tell me what it is. Yes only once. Hopefully never again. Hi , I am 52 and I was diagnosed with Severe Clinical Depression, PTSD, Anxiety, OCD snd I also have high Blood Pressure, IBS and am Anemic which as you may know causes a lot of problems for me. In the past year I have started having these symptoms, Feeling lighted headed, fainting and vomiting while I was passed out, stomach cramps and tightening of my shoulders, when I call rescue and they check my vitals they say they they are all normal and also my blood pressure has been higher than than usual it’s usually high but not as high as it’s been lately can these symptoms be related to POTS? I was told I have POTS by a cardiologist, but my BP bottoms out and my heart rate sky rockets. Is that normal? My BP remains so low that I had to be put on fludrocortisone. I also have atrial tachycardia (a-fib & flutter), murmur & venous insufficiency.Years ago I had a tilt table test & can only recall being told that I had small & large fiber neuropathy. Anyway, I can’t even climb stairs w/o getting all woozy, nauseous, sweaty, and heart flipping out, pounding through my chest, clenching and squeezing. Is that normal for POTS? There’s a lot of overlapping between POTS and various forms of EDS (especially classic and hypermobile). And they’re not mutually exclusive, so it could be a good idea to have a look at that, too. Look up the Ehlers Danlos Society. Im a 13 year old girl and i fit all of the syptoms except one. The most severe ones for me is dizziness and sleeping problems. My mom says its just anemia and insomnia but my friend who was diagnosed with pots has the same problems as me and says i should get checked for it. I have severe sweating spells. I get so hot that i have to strip down and sit in front of a fan til i cool off. I can get these spells just by sitting and doing paperwork,everytime i wash dishes (sweat will drip off me), any minimal activity. i am 72 and have fibromyalgia (18 years). I get very short of breath with any activity, heart beats fast ( all heart tests are good ). Extremely exhausted all the time. Very hard to function normally. Symptoms relieve somewhat when lying down or sitting. Having fms for 18 years, i know what to expect to feel like, but i have gotten different symtoms and severity of those i already have experienced in last 18 years with fibromyalgia. Never had eye problems, now right eye is blurry ( just recently ) gonna get them checked to rule out cateract. Any one else have any of these symtoms.?.? !!!!!!! Thanks for any comments!! Hi all, I was diagnosed with POTS a year ago this month, after a misdiagnosis and so so so many blood tests. Cardiologist finally got it! Praise God. I’m curious, how bad is your brain fog? Mine goes up and down but has been one of the more severe symptoms and I don’t want it to interfere with my job, so I try to hide it. What are you experiencing along those lines? Fatigue, dizziness/vertigo and headaches are my other severe symptoms. Body pain used to be, but I eliminated dairy, soy, gluten and corn and walk 5x times a week – this took away inflammation and pain. Would love to understand your experience with brain fog and concentration. DOes anyone with POTS out there experience the sensation of throat swelling and tingling of lips? All the allergy markers are normal and the allergy specialist will not see daughter because the markers are all normal. Stephanie that sounds like Mast Cell Activation Disorder…..it goes hand and hand with POTS….please look it up…I am sure you will hear many stories like your daughters…I have both too…..